Remember when waterbeds were all the rage? The revolutionary wave action made for endless nights of fun for those surfing the crest of the waterbed craze…the only problem was how to get rid of it when our geriatric backs went out. I once used a waterbed headboard for a back bar shelve to hold liquor bottles, but even that eventually found itself in the firewood pile. Here’s a true story and photos of another creative member who went totally green, re-purposing his old waterbed and more, all in the name of fun! 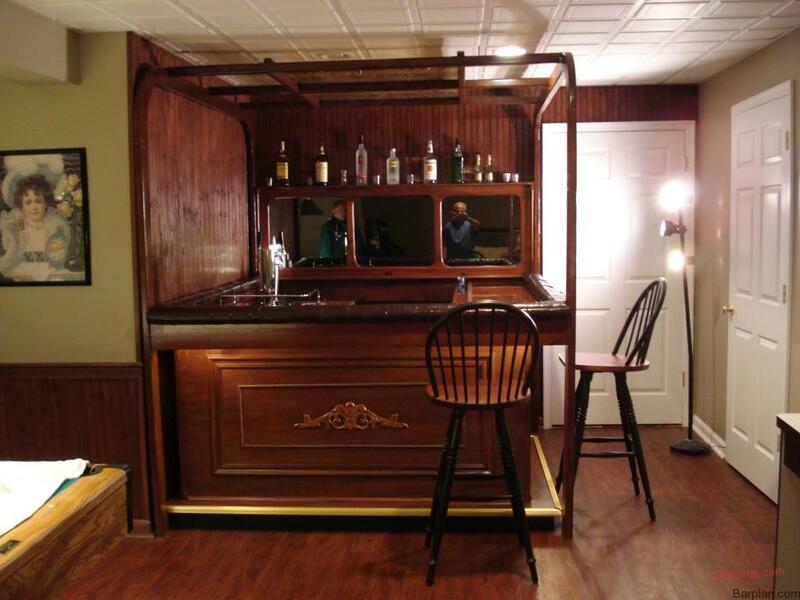 We recently received this great story from a customer named Bill, he built his home bar from parts of his waterbed! Great job Bill! What was once a waterbed, is now a bar! At age 19, I married my high school sweetheart, but we were too young, and divorced at age 22. When we separated, I bought a water bed and a Harley as a sign of my independence. Twenty-five years later, we remarried. I still had possession of the water bed, but not the bike. I decided to turn the water bed into a bar. My wife thought that I would never do it, but here is the result. We have been remarried for 14 years, and very happy. I also bought a new bike. 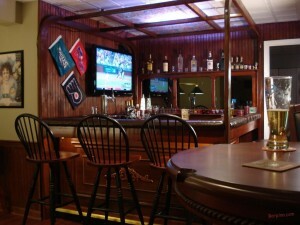 Here are a few pictures of the bar. -Bill B. A waterbed or a bar? 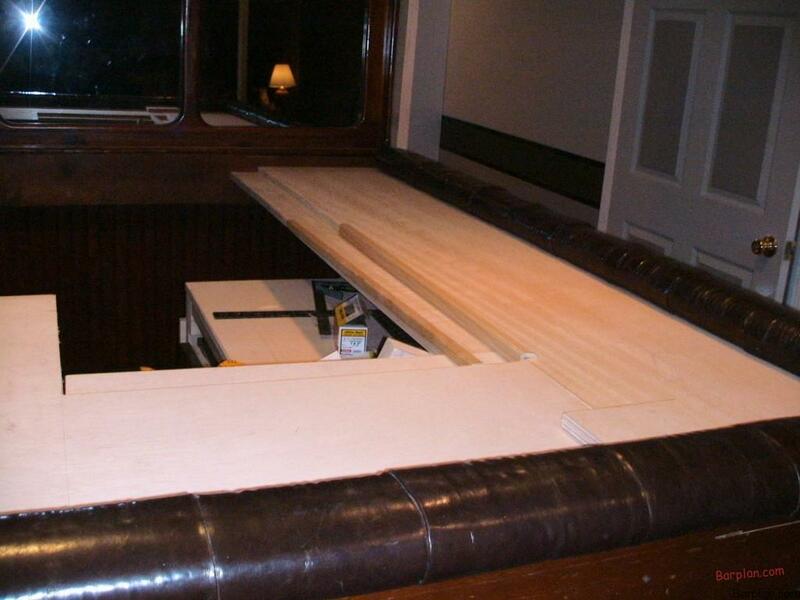 Lots of creativity and ingenuity has gone into this waterbed-to-bar resurrection. The mirror, headboard and even the padded railing all get re-used in this cool water bed bar. Prefect size and shape along with carved appliques and embellishments to transform a sleeping platform to a drinking establishment. Completed transformation of waterbed to home bar.